During the battles you do not know for sure how much health remains in the opponent. Beginners in most cases do not even imagine what damage is caused by different weapons and how much hp has a hostile mob. In such cases, the Damage Indicator mod will help you and shows the exact number of health units in any creature. 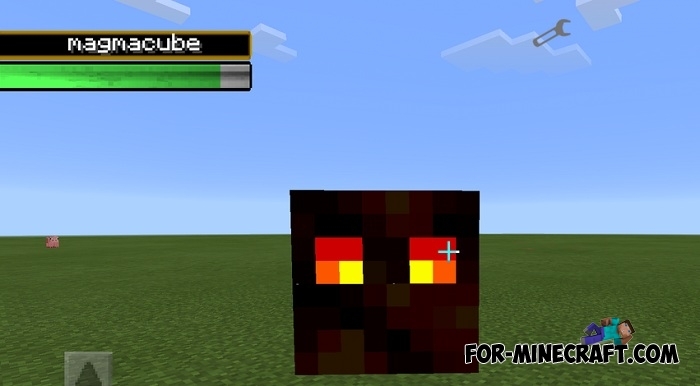 The mod is very easy to use, you just have to look at the mob to see its health. The indicator is at the top left of the screen and displays the health and name of the mob. The mod supports all original creatures but it does not work if you install an additional mod. Take an iron sword and hit the enemy to approximately understand how powerful your sword is. 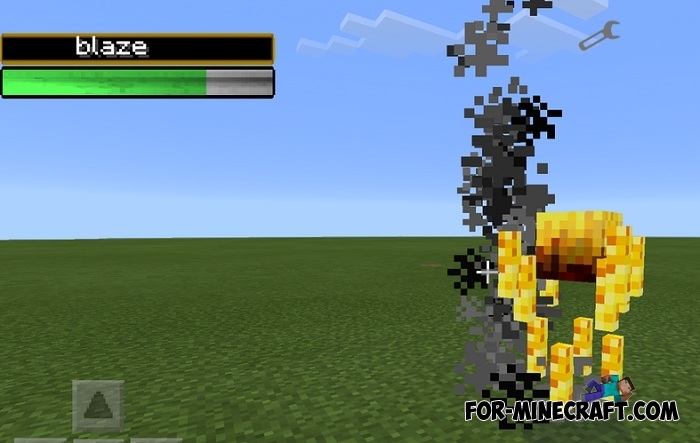 The Damage Indicator mod is a frequently used supplement in various mod packs, it's impossible to imagine PvE in Minecraft PE without it. How to install the Damage Indicator mod? 1. Download the mod and install BlockLauncher. 2. Import the mod (.modpkg).